Getafe, also spelled Jetafe, is a port town of the province of Bohol in the Philippines. It lies on the northern coast about 92 kilometers from the capital city of Tagbilaran. On board a van and plying the west-bound fully-cemented highway, the town is only 1-1/2 hour ride away. This up and coming town is the nearest point to Cebu Island from Bohol. In fact, on a clear and sunny day, the tall buildings and the longish island of Cebu can be clearly seen. At night, the countless glowing lights of Metropolitan Cebu have a mesmerizing effect on viewers and acts as beacon lights for seafarers. Considered a 4th class municipality, Getafe has a population of 27,852 people as per 2007 census. The town covers a total land area of 9,880 hectares; 7 of which are island barangays and the rest lying along the mainland coast. The Municipality of Getafe is politically subdivided into 24 barangays. The island barangays are: Alumar, Banacon, Jagoliao, Jandayan Norte, Mahanay, Nasingin and Pandanon. The mainland barangays are: Buyog, Cabasakan, Campao Occidental, Campao Oriental, Cangmundo, Carlos P. Garcia, Corte Baud, Handumon, Jandayan Sur, Poblacion, Saguise, Salog, San Jose, Santo Niño, Taytay, Tugas and Tulang. 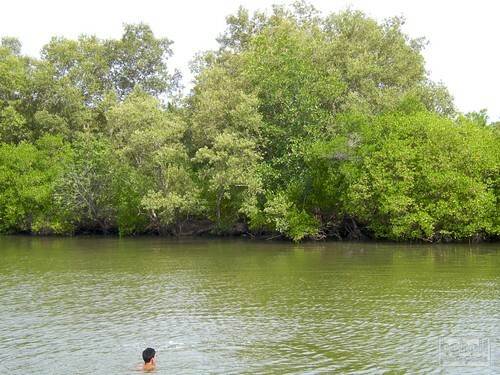 This municipality has gained recognition because of its mangrove forest which is the biggest in the country. The mangrove forest is located at Banacon Island and has become an eco-tourist destination with an approximate area of 425 hectares. Likewise, the town is also known for its seahorse trade. The seahorse is dried and processed and used widely as a medicine by Chinese practitioners. The island barangays of Getafe are blessed with fine white sand and a tranquil atmosphere. The most visited is the Pandanon Beach, a strip of land with fine white sand attached to the island of Pandanon. The island is surrounded with crystal clear blue waters rich in marine life. Most of the inhabitants of the town rely on the trading of fish. 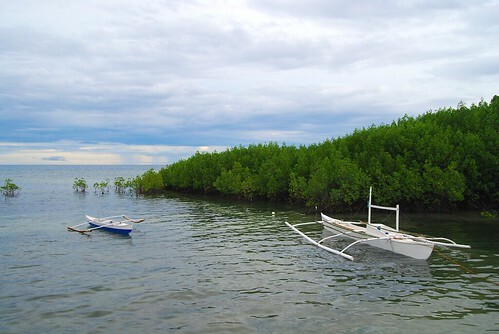 The islands of Getafe are rich fishing grounds and bountiful harvests are brought to the neighboring island of Cebu where catches fetch greater prices. Only the small-fish varieties find its way to the local markets of mainland Bohol. Other people rely on seaweed farming and fishpond operations aside from the mainland’s usual rice, corn, palm oil, fruit and livestock farming activities. The local folks gather every Wednesday at the port market of Getafe to display their wares and products. Traders from Cebu and other towns also come to join the “tabo”. The port of Getafe is fast becoming a hive of activity with more fishing and commercial boats plying the Bohol-Cebu strait. Being the nearest point to Cebu City, more people (students and traders from as far as Ubay and Talibon) take this route for it takes less travel time than the other ports of Bohol. Like the rest of Bohol island, Getafe enjoys good weather conditions and a climate conducive to farming and other activities. The people are friendly, accommodating and deeply religious. 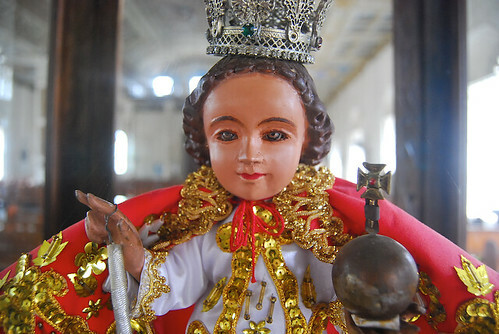 Their warm and vibrant faith revolves around their Patron Saint which is the Sr. Santo Niño, whose feast day falls on the month of January.